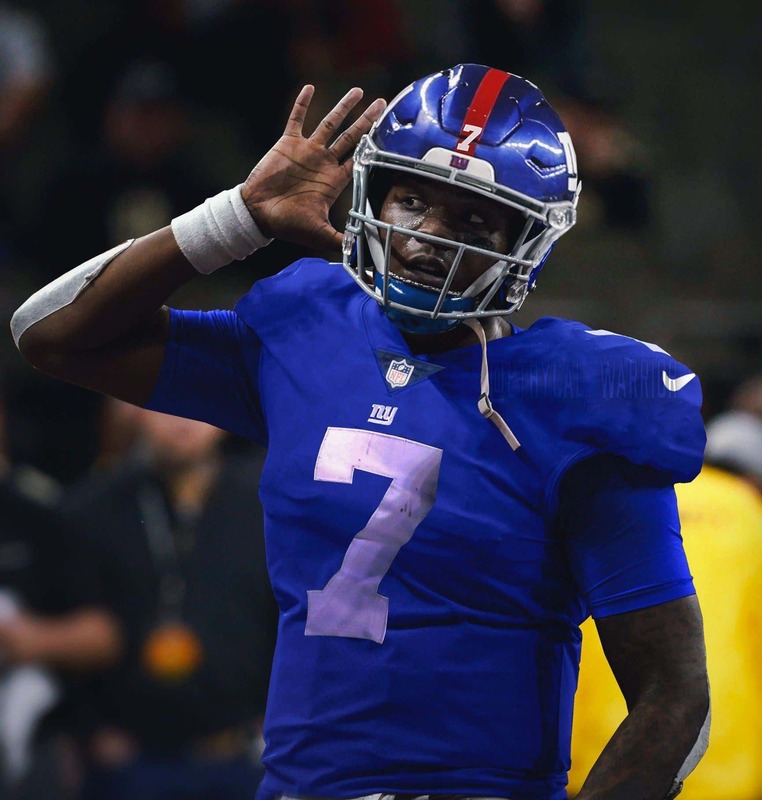 Per Dan Hope, senior reporter who covers Ohio State football, Haskins told him he's visiting the Giants this week. said but I think Haskins is a legitimate option for the Giants at #6. It's a damn shame he won't last until #17. Would prefer a high rated defender at #6 and a trade up to get Haskins. Perhaps Vice Versa would work better depending on who's there at #6. Hell, maybe even a trade down from #6 and then up from #17. I know it goes against what most are suggesting here but I really like Haskins better than Lock or Jones. He loves the Giants and the Giants love him, so he deliberately turned himself into the Michelin Man to save himself for us. With no threat of being jumped, we take him at 6 and he turns into Svelte Man. If they were smart they�d take him to Panara. Should be the last place they take him. He doesn't need any more carbs. We already had the Pillsbury Throwboy. We don't need him the second time. if the Giants picked Haskins at #6. In the last 20 years with the same body type. Not worried about the conditioning thing. Not making this a black-white thing but there was Culpepper, McNair and McNabb. All 3 were pocket passers who could move around. The organization has to have conviction on him be it Haskins, Lock, Jones, Grier, Finely, Stidham or Rosen. So if Haskins is the guy and he is there I think they should pull the trigger. And nobody knows if the Giants like him or not. does Haskins have enough in the pocket mobility? He answered �absolutely �. If they want a pocket passer, I would much rather have Haskins at 6 then Jones at 17. However here�s another point. Our professional scout (Sy) has given Bosa his highest rating this year (87). He gave Josh Rosen an 89 last year. If I were in their shoes, after Murray is taken one, I would do whatever I had to to effect a trade. Little risk, high reward. It�s such a no brainer it�s laughable. Then they can go all in on defense ( and if he doesn�t fit, draft a QB next year). we have the draft capital. can't wait until the draft gets here. Yep. I think it's him or Lock. How do you reduce that pic? Not making this a black-white thing, but here are four other black QBs to use for reference when comparing with this black QB prospect in this year's draft, including one who by admission within the post itself, should not be compared with Haskins.